My favourite annual local flower show is no other than Royal Floria Putrajaya which also happens to be Malaysia's largest flower and garden festival. 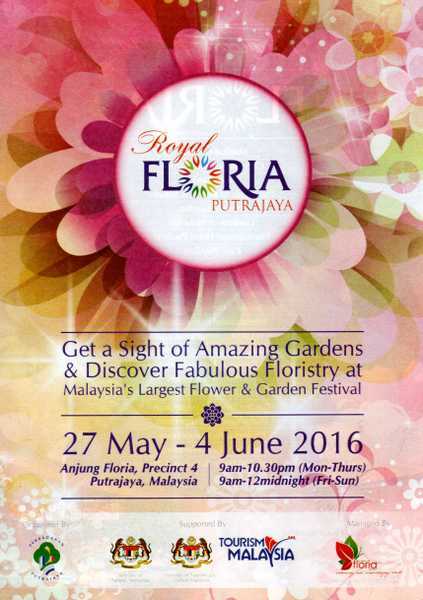 This year Floria 2016 will be held on Friday, 27th May to Sunday, 4th June 2016. The dates coincide with school holidays in Malaysia and Singapore. What's new this year is that there will be a Preview Day with Official Opening Ceremony on Thursday, 26th May, i.e. one day before Floria 2016 officially opens to the public. The Preview is only for invited guests and holders of Friends of Floria (FOF) membership card. 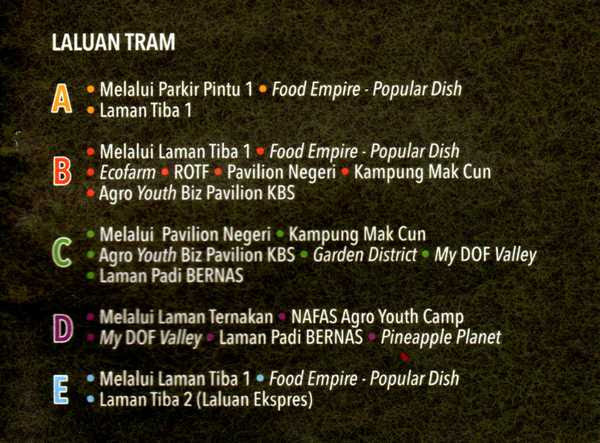 The venue of Royal Floria Putrajaya 2016 is at Anjung Floria Precinct 4, Putrajaya. 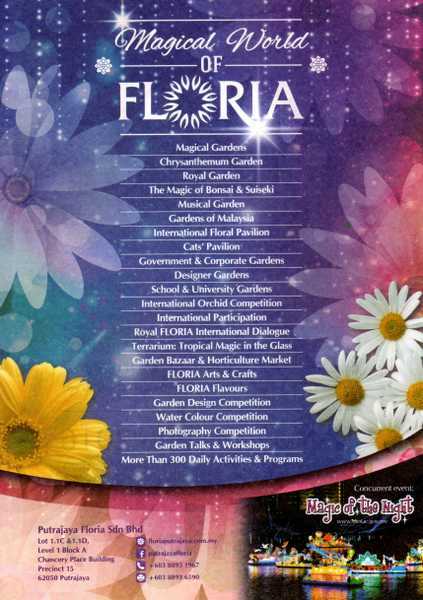 The theme of Floria 2016 is "Magical World of Floria". The theme flower of Floria 2016 is the Chrysanthemum. This is the 9th edition of Floria. 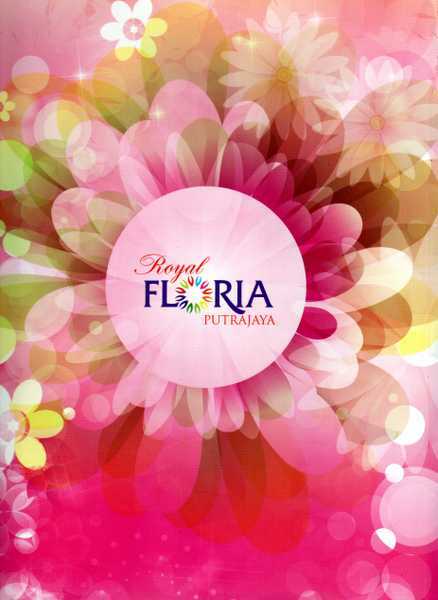 This year, I have the privilege to attend the soft launch of Royal Floria Putrajaya 2016. The ceremony was held this morning. 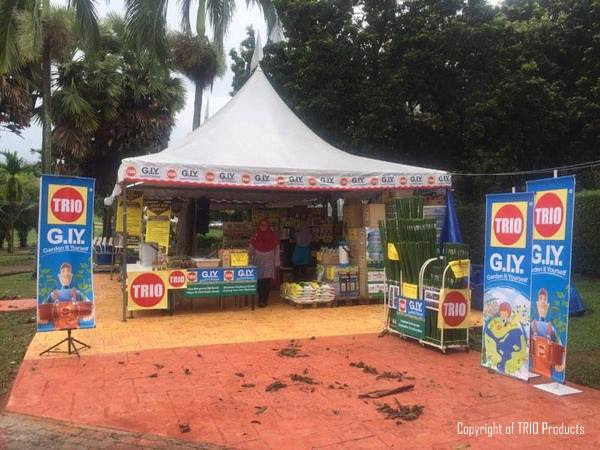 Below are some photos taken at the launch. Floria mascots "Flo" and "Ria"
Which flower or vegetable do you think they are dressed up as? ... and the stage too. And, Royal Floria Putrajaya 2016 is officially launched! There is an entrance fee. You can purchase the tickets in advance. 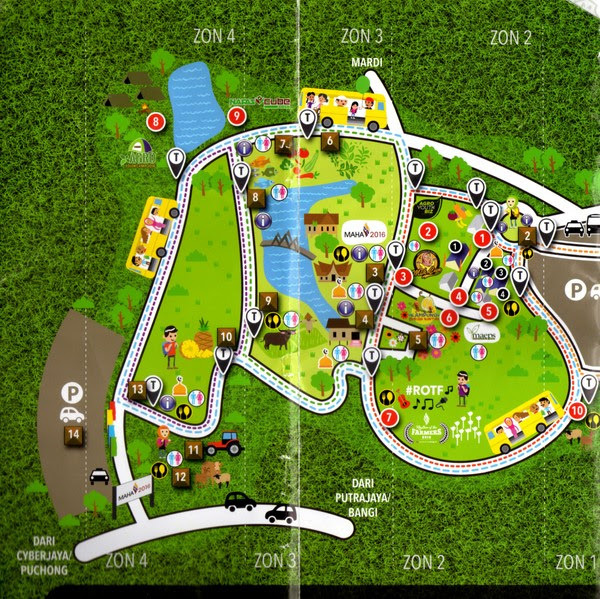 For more information about Floria 2016, please visit their official website here. Are you looking forward to Floria 2016? Do you think Chrysanthemum as the theme flower will be interesting and exciting? This year Chinese New Year falls on Monday, 8th February 2016 and Lichun Day is on Thursday, 4th February 2016. 2016 is the Year of the yang fire Monkey and it starts on February 4th, Lichun Day (立春) at 5:45 pm local Malaysian time. Lichun denotes the start of the first solar term and beginning of spring in ancient China. It is a day when farmers would traditionally hold prayers to the gods for a prosperous year ahead hoping for a good harvest. It is a time when farmers go back to the fields and begin work after a long winter's break. The nurseries have started selling Chinese New Year plants and flowers and here are some preliminary pictures. c) For marriage this would mean that the husband and wife shall always be together and live happily ever after. Clyclamen plants are known as "xian ke lai" (仙客來) in Chinese which sounds like "fairies, gods or immortals are on the way or coming over as guests" hence it is very auspicious. or you may wish to wait for the surprise when the flowers starts to bloom. Lucky bamboo (Dracaena sanderiana) grown in vases with auspicious paintings and decorated with festive ornaments. Some are in their natural colour of white with unopened buds but there are some batches with long, blooming catkins. Some have been dyed in colours of pink, red and orange. The ever popular must-have chrysanthemums. Peach Blossoms have arrived in Malaysia! Flower pots with auspicious wordings.